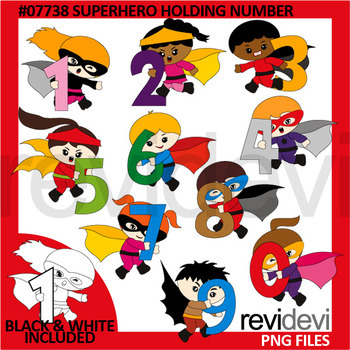 Superhero holding number clip art set includes 10 graphics in bright colors! This collection is great for math theme projects! These cute digital images will look good on cover page and also learning materials sheets for kids. Black and white version in included in this pack. This clip art set can be purchased in a BUNDLE at a discounted price. Just click below link! Great resource for any school and classroom projects such as for creating bulletin board, printable, worksheet, classroom decor, craft materials, activities and games, and for more educational and fun projects.